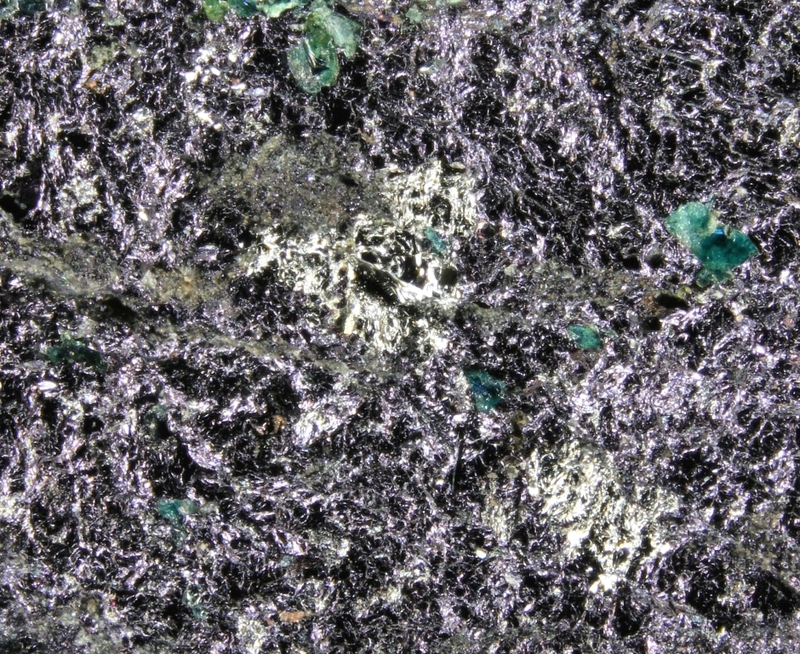 Plenty of bronze to silvery colored, metallic crystals of very rare tyrrellite intimately intergrown with athabascaite embedded in purplish umangite from the type locality for the species. 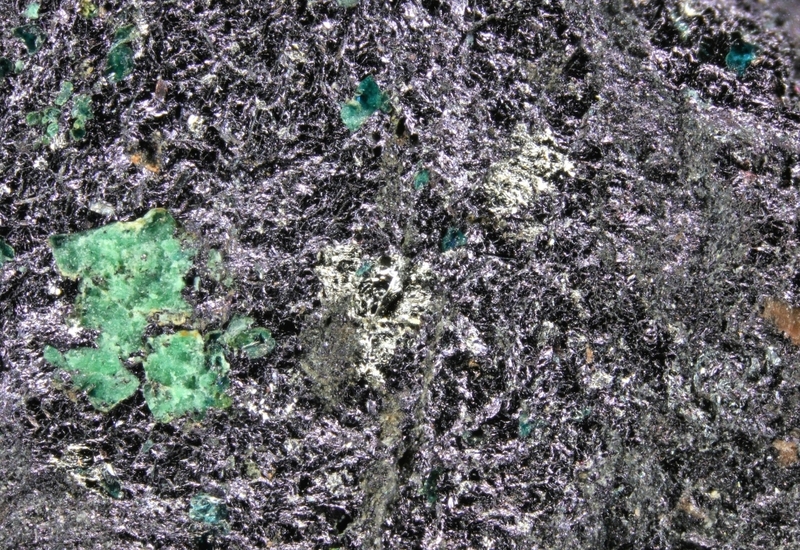 Associated with blue-green crusts of chalcomenite. From a new, analyzed find! Named after Joseph Burr Tyrrell (November 1, 1858 Weston, Ontario, Canada - August 26, 1957), geologist, Geological Survey of Canada.